We developed Spectu CMS for customers who don’t have a POS system compatible with Spectu or for those of you who don’t want to spend hours with desktop applications obsolete POS systems and looking for a simple and inovative solution. Spectu CMS contains full version of Spectu for iPad connect with our Cloud based application CMS instead of POS system. 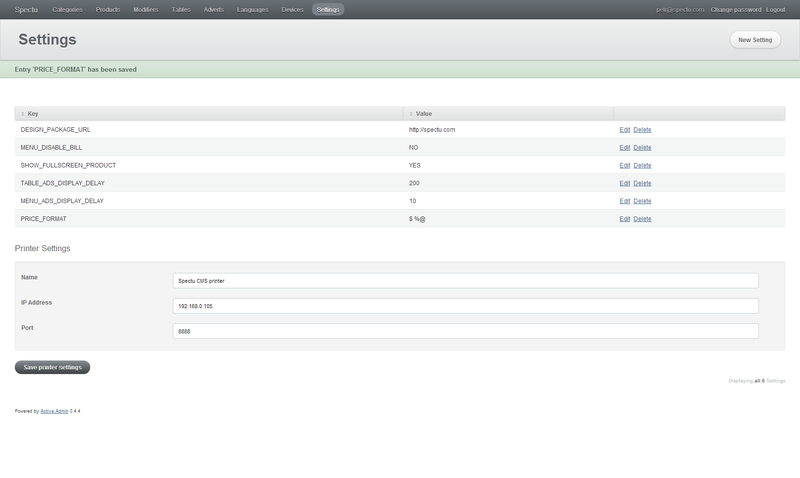 Because of Cloud based platform you are able to log in comfortably via web browsers from your notebook or mobile phone. Spectu download a current menu and settings from CMS and then it works within local network including printing of orders and messages from customers, without having to connect the Internet. CMS has therefore no influence on the stability of the system and it will operate at 100 % even in case of an unstable connection. iPads communicate via wifi and Spectu keep checking the printer status to prevent outage. If you allow your customers place an order throught Spectu, orders are printed on a network printer in the kitchen or at the bar. Because Spectu doesn’t have any database to keep orders in memory, a waiter have to rewrite orders to POS. This solution is perfect especially for smaller businesses, for large restaurants we recommend connection with a POS system. The biggest advantage of CMS is fact that we developed it directly for Spectu purpose, therefore you can edit menu seamlessly and much easier than in a POS system. 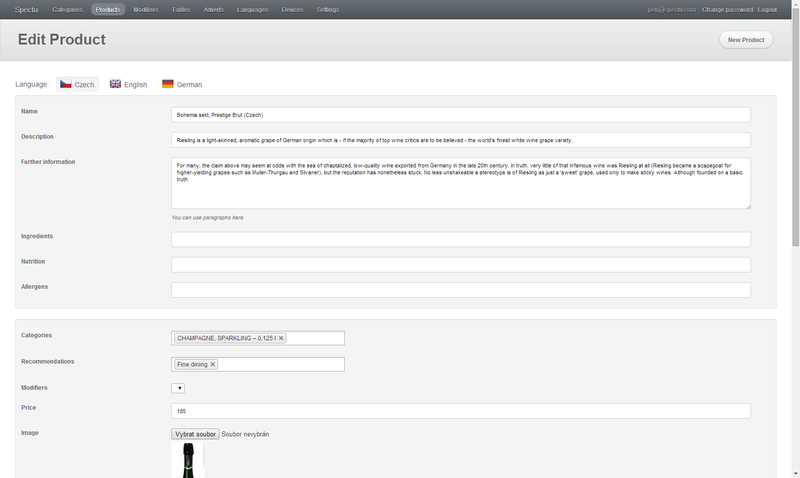 CMS also includes more features such as interactive map of origin for wine card. Therefore CMS is perfect for small and medium size businesses where the waiters have more time for customers. 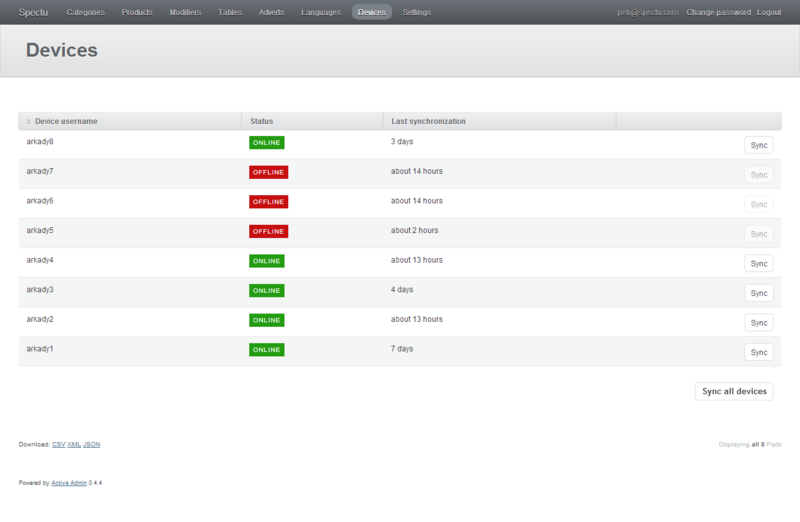 Also CMS is the best choice for those of you who are sick of complicated and slow interfaces of POS systems. Because CMS is new platform we progressively adding new features and other improvements of which we inform our customers via our newsletter. 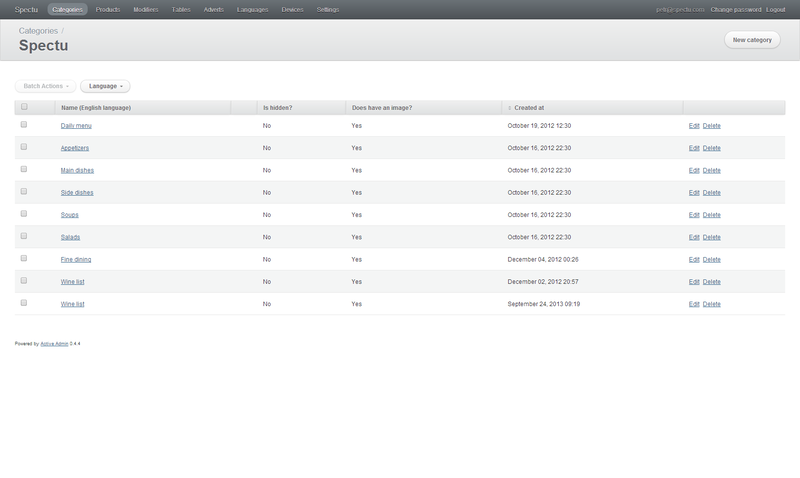 Comparison of supported features of Spectu CMS and Spectu connected to POS systems can be found in the table below.